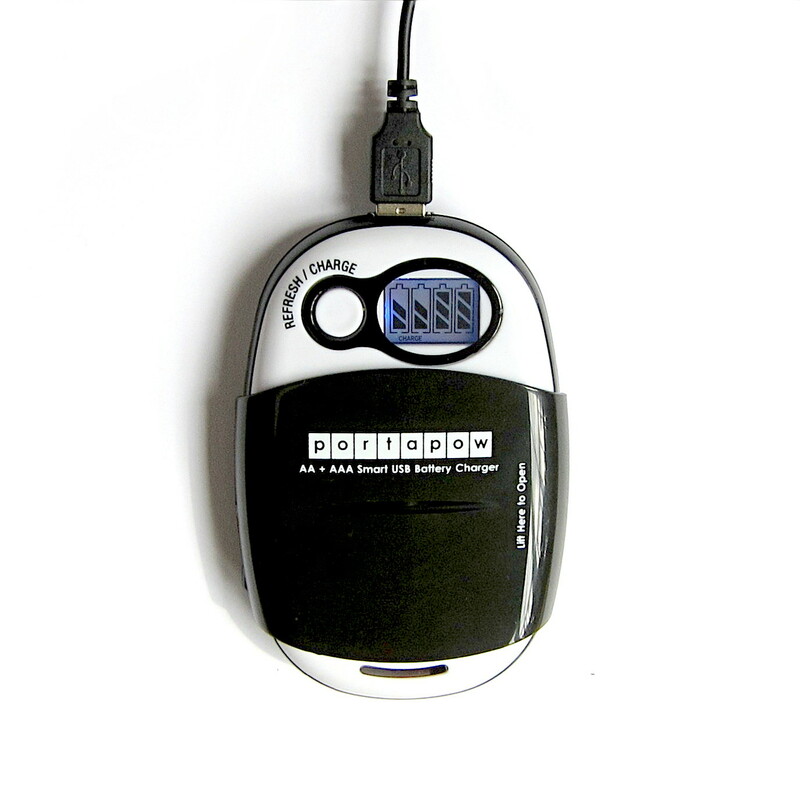 Each battery is charged individually with status shown on a backlit LCD screen. 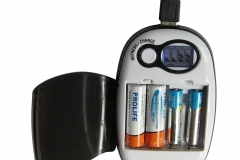 Intelligent design uses Delta V to fully charge and not over charge batteries. Output 750mA Weight: 105g Size: 13x8x2cm. 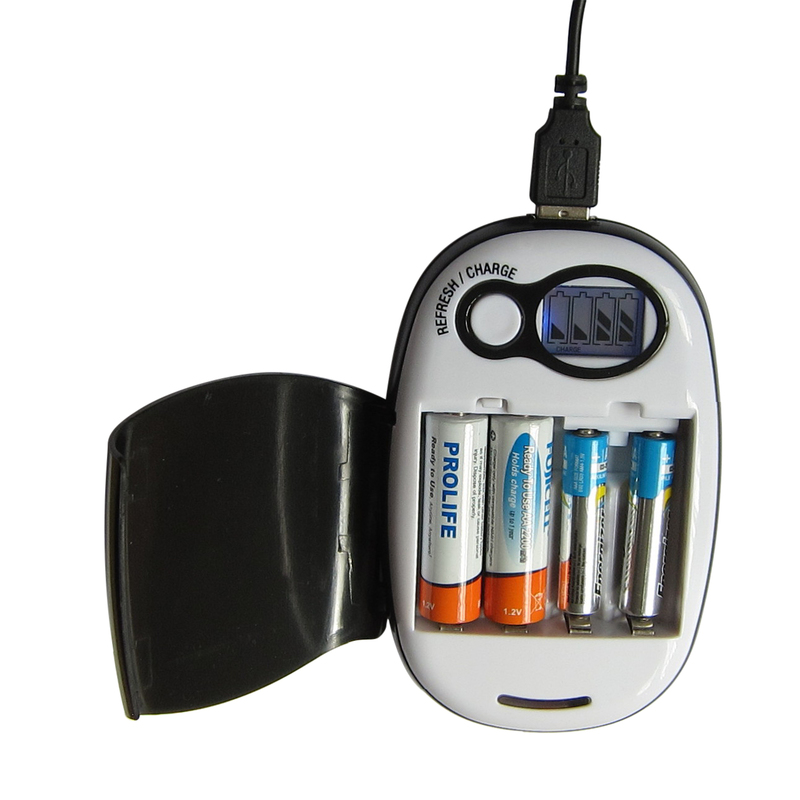 Mix & Match Charge 1-4 AA or AAA batteries, you can also charge 1-2 AA and 1-2 AAA batteries at the same time. 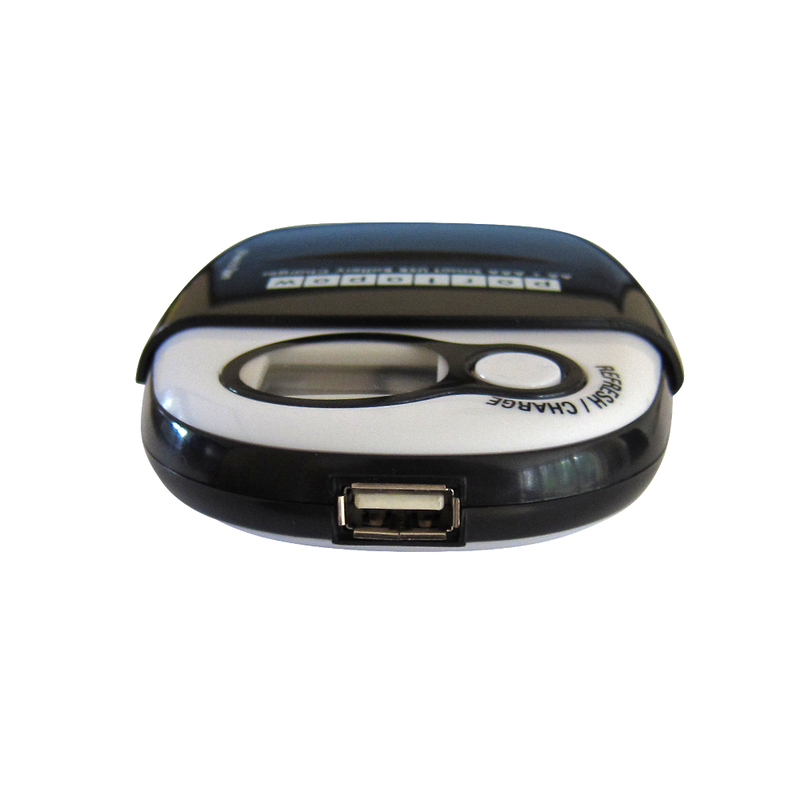 Since each battery is individually charged, you can charge different sizes and capacities together. Batteries are not included. 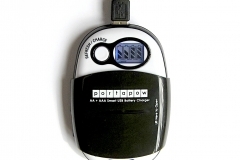 Charge anywhere The pack uses a standard USB socket, so you can charge from a computer, a mains/car USB charger or even a solar panel. The panel needs to output a strong current for it to work best, during trickle charging the screen will not display correctly. Refresh function This will fully drain the batteries and then charge them, this helps maximise the capacity of Ni-Cd batteries. It can also be used for N-Mh batteries but there is no need with this type. Safe Uses both delta V and timer protection to ensure batteries are fully but not over charged. 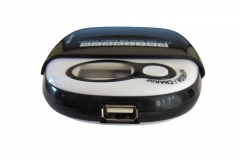 Uses over current, reverse polarity, defective and non-rechargeable battery detection. 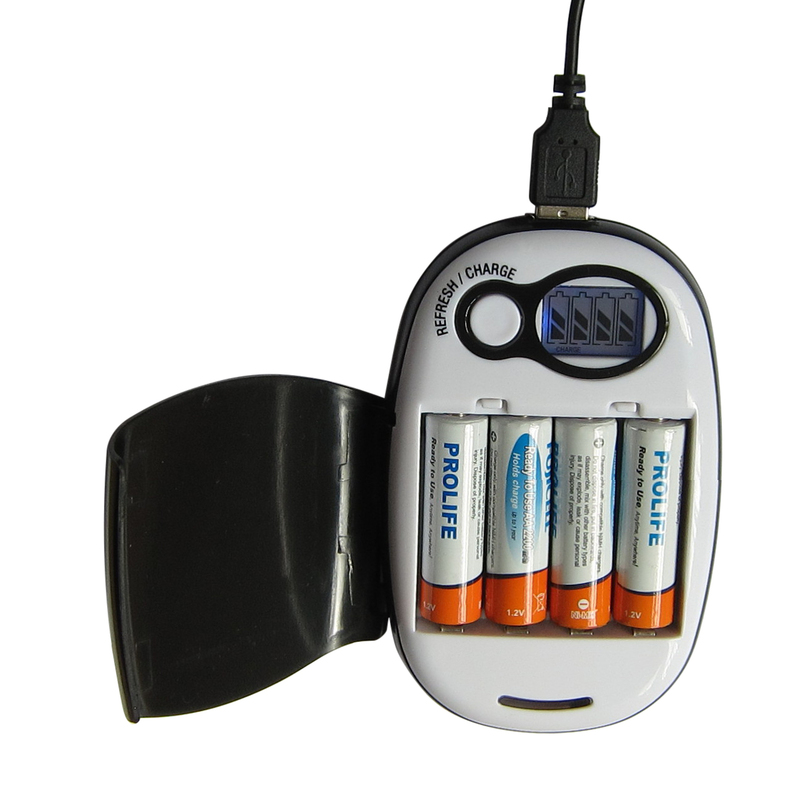 Specifications Output 750mA, can charge AA batteries in 4-6 hours. Weight: 105g. Size: 13x8x2cm. User Guide can be downloaded here.